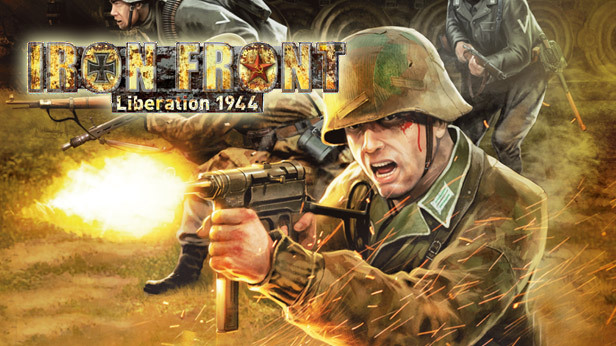 X1 Software and Deep Silver has a new update, Iron Front: Liberation 1944 v1.02 Patch. This update fixes the issue with multiplayer and various bugs found in the campaign mode. The DT machine gun is now a complete weapon it is available under USSR ammo crate. You can now download the New Iron Front 1.02 patch for both Boxed and digital version. New: Added additional mining features. New: Added the DT machine gun as a complete weapon, it’s located in the USSR ammo crate. Fixed: Fixed the work of multiplayer. Fixed: Fixed the empty fields in the editor for the french, spanish and italian language. Fixed: Fixed the trucks – now they can carry mortar and mg parts in their cargo. Fixed: M3 Scout car now also can tow anti-tank guns. Fixed: Fixed various small building errors. Fixed: Fixed some mistakes of the german infantry. Updated: All small arms sounds are enchanced. Updated: Updated the Blitzkrieg missions, fixed several bugs for them. Note: This patch only upgrades v1.01 to v1.02.